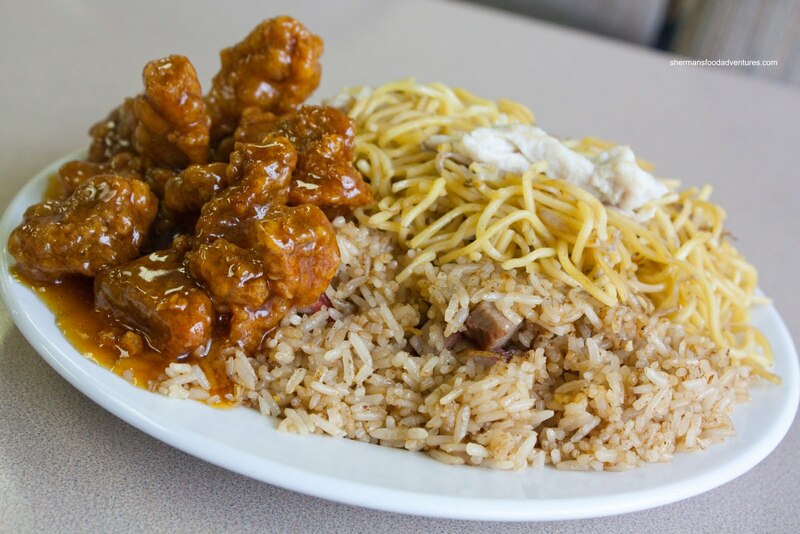 North American Chinese food. We throw that term around quite often; but what is it really? Well, it could mean things like Egg Foo Yung and Fortune Cookies - neither exist in authentic Chinese food. 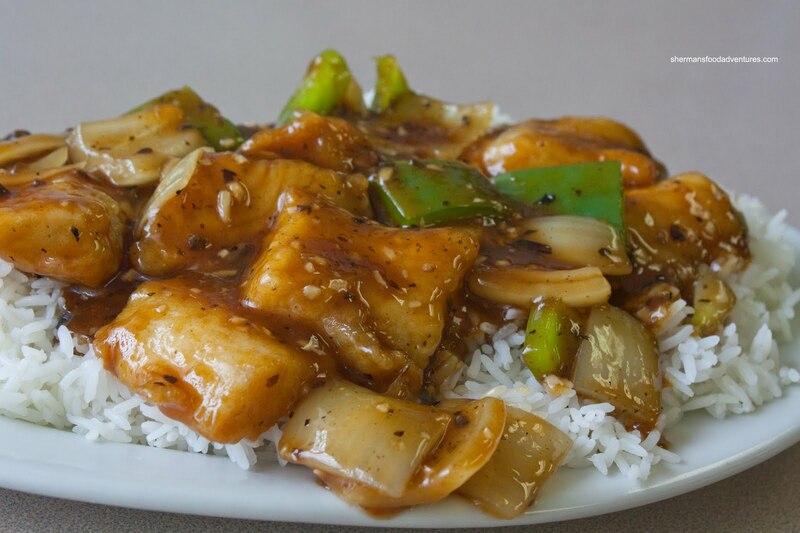 It can also refer to various versions of certain popular dishes such as Sweet & Sour Pork, Chicken Chow Mein and Fried Rice. 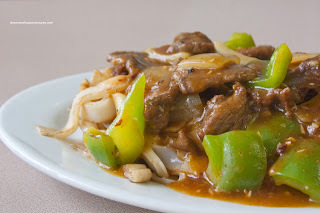 There are people who would not eat this type of Manchu-Wok food even if it was the only choice. Hey, it's personal preference, I won't argue that. However, I don't mind it sometimes. Naturally, my expectations are altered to fit with the food. Hence, I won't ever compare it to authentic Chinese food. 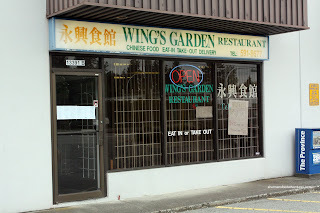 So with that in mind, I paid a visit to a little Chinese restaurant out on 72nd near King George Hwy called Wing's Garden. This is your typical hole-in-the wall Chinese restaurant that serves mostly the locals. Take-out is the dominant choice here since there are only a few tables and the place has the ambiance of a tire shop (and smells like one too). Again, I was here for the food, not the view. I ended up doing the "combo" thing and went for plate that included Sweet & Sour Pork, Chicken Chow Mein and Pork Fried Rice. The one thing I really liked about the S&S Pork was the lack of radioactive colour. Furthermore, I found the sauce to be well-balanced with a good zing. The pork was crispy and in good sized chunks. The chow mein was naturally the Americanized version; but it was more than acceptable with tender strips of white meat and properly cooked noodles. The fried rice was not bad. It was chewy and a nice caramelized flavour with plenty a good amount of non-fatty BBQ Pork. It could've used a bit more seasoning though. I also got another of their daily specials which w as the Singapore Fried Flat Rice Noodles. This was actually a very well-executed dish. The noodles were soft while still being intact and the curry seasoning was bang-on. There was plenty of just tenderized-enough beef as well. Not satisfied by the sample size of my visit, I returned a couple of weeks later to try a few more dishes. Surprisingly, the Black Bean Fish on Rice was very good. Perfectly fried, the big pieces of Basa were moist and flaky. Furthermore, the black bean sauce was sufficiently savoury without being salty. The only thin g I didn't like was the overly hard rice. 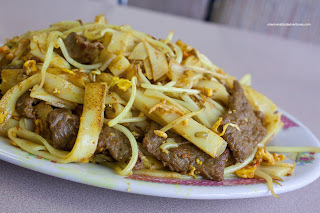 For my second dish (which I mostly packed up) was the Satay Beef Fried Flat Rice Noodles. Similar to the Singapore rice noodle except with different veggies and sauce, it was mostly good. Once again, the noodles were cooked properly without being too oily as well as the tender beef. However, I found the sauce to be lacking. It was a bit bland being that it was satay. It could've used both a bit more spice and salt. However, this was probably the only dish that could've been better. 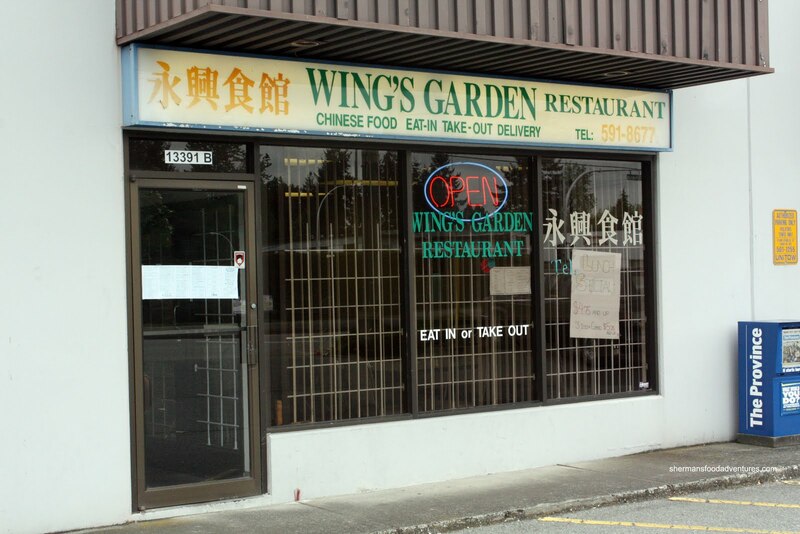 For such a little hole-in-the-wall, the food is surprisingly good at Wing's. It doesn't hurt that the prices are rock-bottom cheap either. Sure, there is the usual North American Chinese food (which is decent by the way). Yet, the other dishes I tried were very good, freshly made and cheap. Sadly I admit as a child, I loved Egg Foo Yung at my local Chinese restaurant (the one and only in town).